But what is it that people want? A couple of different organizations asked that very question and the answers to the question can help you improve your safety program. Google asked all 38,000 of its employees what they want - from their immediate supervisors. Google thought that their employees wanted supervisors with technical expertise. But Google, it turns out, was wrong. 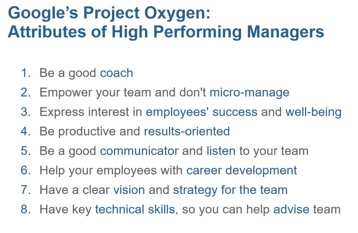 Here are what Google employees actually wanted (see Google's Project Oxygen list below). Most importantly, Google employees wanted a supervisor who was a good coach. Someone who empowers, who takes an interest, and is productive. Someone who listens, helps with career and has vision. Then, someone with technical expertise. Good employees everywhere want the same things. Your workplace is no different. Your people want that too. When it comes to safety performance, motivation, morale, attitude and teamwork, people who get the above-noted skills and traits from their supervisors tend to perform better in all aspects of the job. Safety too. 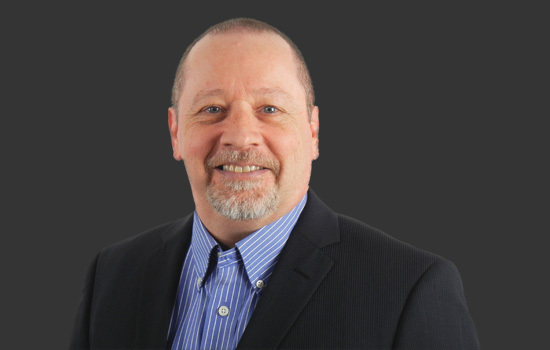 So now the question is posed to you in your role as either a supervisor, manager or safety person: Are you giving them an approachable coach who listens and helps and cares and has a vision? If you’re not giving them that person, don’t be terribly surprised when they don’t give you what you want: safe production, excellent quality, good morale and positive, engaging teamwork. Why your employees may be under-performing in safety. If they’re not giving you safety, it’s because you’re not giving them what they want. You see, the leader must lead. The leader must go first and set the example of for the culture of the crew or the team. You give your people what they want in a good boss, and they will give you what you want from good employees. The sooner you figure out your role in this, the sooner you start to build better safety performance and your team. You’ve heard it said that employees don’t leave the company – they leave their immediate supervisor. It’s true. If you, as a supervisor or safety person, are not giving your team what they want from their immediate boss, they’re not going to stick around and put up with you. Doing so would just give them more of the same. And if they are not getting what they want from their boss, they’re not going to stick around. They’re going to go where they get what they want. And they will give their new supervisor exactly what the supervisor wants. Here’s why. And you can prove this to be true any day of the week in any place. We are nicer to the people who are nice to us. We give willingly to the people who give to us. We care more about the people who care about us. The people that do us right get our best in return. 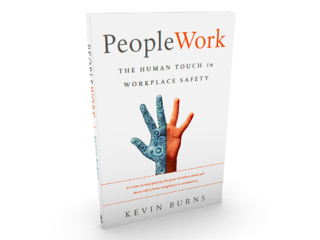 Want your people to freely give you their best safety performance? Then give them your best performance.